Staying healthy is critical for managing your day-to-day life. An injury makes going to work, caring for family members, and spending time with friends much harder – if not impossible. If you are involved in an accident that causes you physical harm, what you do next may affect the outcome of your case. This is particularly true when the injury is due to someone else’s negligence or deliberate conduct that causes you harm. Your actions may mean the difference between receiving compensation from the person responsible for your injury or being left to solve the problem on your own. Some of the first people who will arrive to help you after an accident are trained to administer emergency medical care on-site. They have extensive training and experience in making sure people who are injured get appropriate treatment for immediate medical needs. This may include checking you for head injuries, cleaning and bandaging wounds, and stabilizing your body for transportation to a hospital. Don’t refuse these offers of assistance. First responders are able to minimize the impact of your injuries and to make sure you are cared for as soon as possible. This is important for your safety and wellbeing. In addition, the treatment you receive immediately after the accident often plays an essential role in the success of your case. Even though you want to be brave after a collision or a fall, it is dangerous to pass up a full medical evaluation. Sometimes, the full effects of an injury take time to appear. A careful exam by a qualified physician ensures your injuries are diagnosed early, treated right away, and your injuries are thoroughly documented. Seeking immediate medical attention is not only good for your health, it is also good for your case. Clients that wait days or weeks to see their doctors lose valuable evidence that cannot be recovered. As the experts at The Mellor Law Firm will tell you, no detail is too small to document and share with your lawyers. Make sure that you collect as much information as possible about the incident and provide all of it to the attorneys representing you. Examples of records that may prove helpful in your case include your own detailed description of the accident written as soon as possible after it occurred, photos, medical records related to your injuries, and witness statements. Staying connected with friends and family through social media pages is a lot of fun. However, when it comes to your injury and the details of your case, oversharing is a big mistake. This goes for social media posts, email messages, and any other method of digital communication. Remember, privacy settings aren’t foolproof, and it is easy for outsiders to get access to this information. Many cases have been lost when the other side secured comments and images from private social media pages and used them to portray clients in the worst possible light. The law is extraordinarily complex. In addition to actual legislation, centuries of individual cases contribute to decisions made in today’s courtrooms. No matter how simple and clear-cut your situation seems, representing yourself is never a good idea. Skilled attorneys have more than just a law degree. They have extensive experience in how the law is applied, and they know which strategies and tactics are effective. In addition, they have a large network of legal resources to draw on in support of your case. 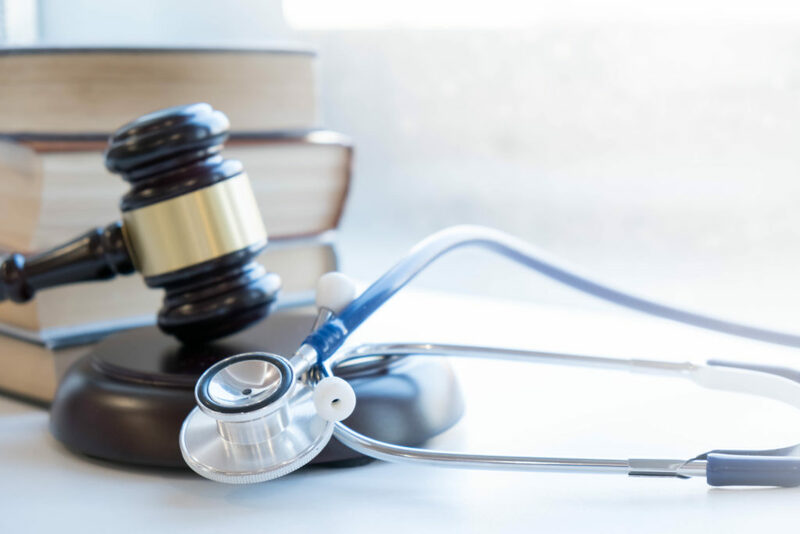 This includes medical and legal experts that specialize in obscure areas of their respective professions, along with peers who can brainstorm to share ideas and create winning arguments. Though you might be tempted to try and save a little money by taking on your own case, it is far more likely that your final results will be poor. The loss of compensation you face when your case doesn’t go well will probably be higher that any amount you would have paid in legal fees. You wouldn’t see a podiatrist to clean your teeth, and you shouldn’t pick just any name that ends in “esquire” to represent you in your personal injury case. While individual attorneys may be highly qualified and well-regarded in their areas of expertise, they are not necessarily highly-qualified in personal injury matters. Choose an attorney that focuses on the specific issues you face – one who has a long history of successfully handling personal injury claims. When it comes to the law, details and nuances are extremely important, and you will want a lawyer that has deep understanding in this particular area. The attorneys at The Mellor Law Firm have extensive experience in handling personal injury cases. The firm specializes in representing individuals and families who have been injured due to the negligence or intentional behavior of another party. Call 951-221-4330 to discuss your situation or to schedule a consultation.